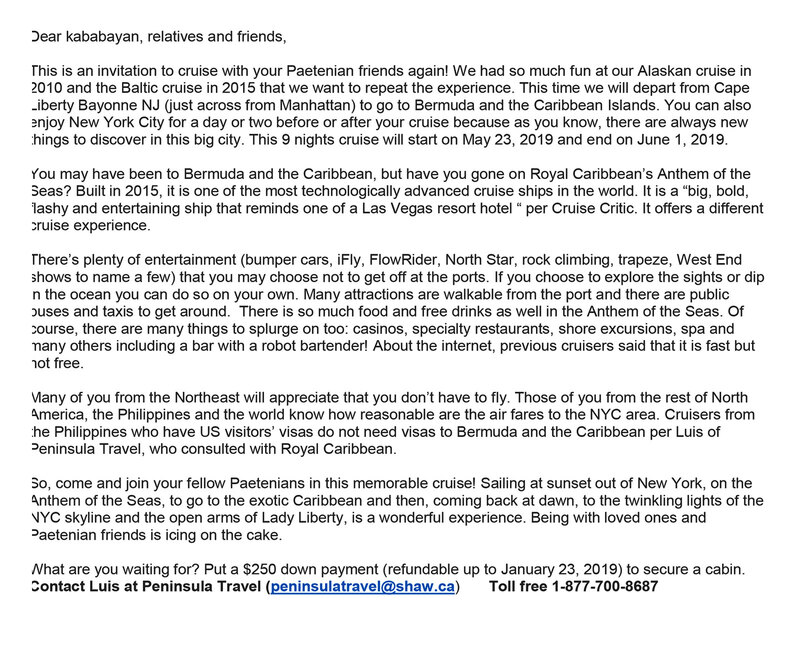 Thank you Nenett for posting the invitation and flyer for this cruise. Special thanks also to Rey Carolino for linking the Anthem of the Ship's logo to the announcement (sticky) at Usap Paete. 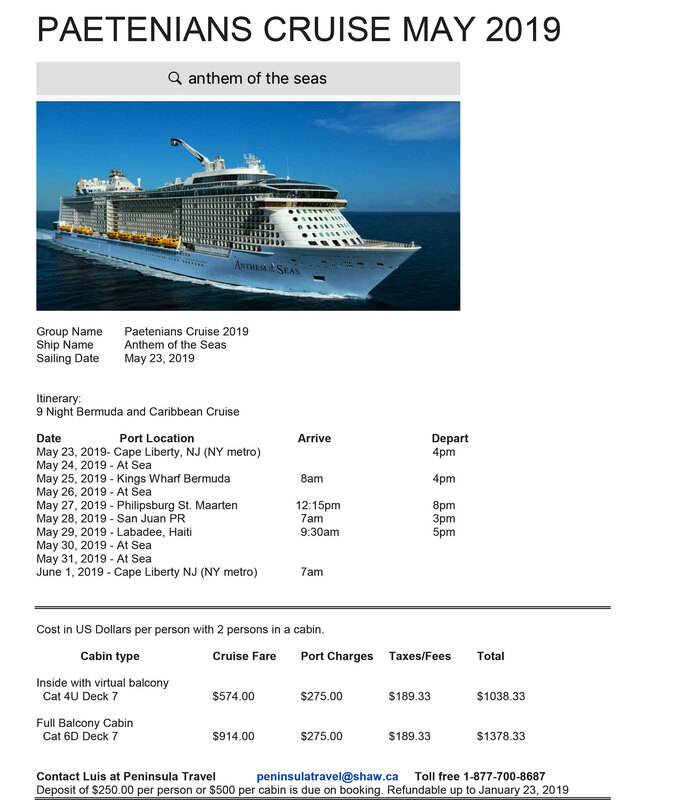 We have created a special closed group "Paetenians Cruise 2019" on Facebook as the information center for Paetenians and Friends with Facebook account. We currently have 124 members. New members can be added upon request by existing members.